Rose Mary is an Air Force veteran and an Occupational Therapist. She has been a life-long dog parent. 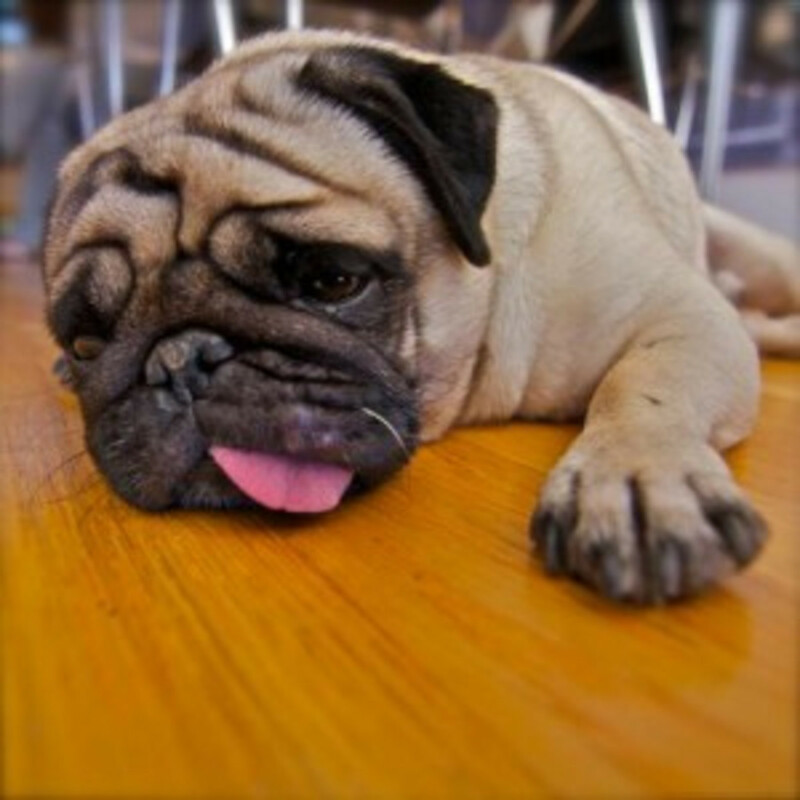 Many dogs, particularly those with long backs and short legs, are prone to back problems. As with most things, prevention is the best medicine. Why? Because back problems can progress to leg weakness and even paralysis. Extended crate rest and therapy can be required. 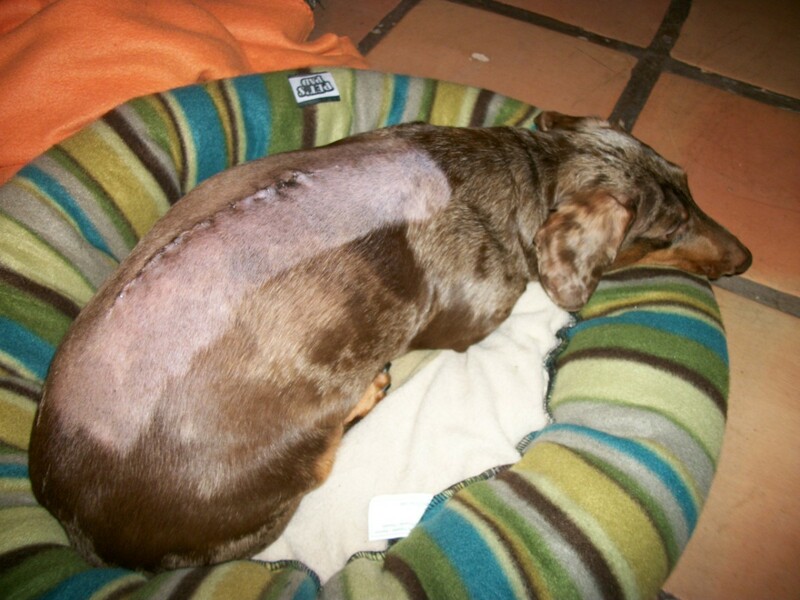 Some dogs may require surgery, which is not always successful. There are many dog breeds prone to ruptured discs in the back, which results from degenerative changes in the discs between the vertebra. This condition is referred to as degenerative disc disease (DDD). Problems with the discs such as herniation may cause pressure on the spinal cord, which may result in weakness or paralysis of the legs and loss of bowel and bladder control. If any of these signs appear, your dog would need immediate veterinary evaluation and possible surgery. Dog breeds with a known predisposition to DDD include German Shepherds, Dobermans, Poodles, Pekinese, Lhaso Apsos, Shih Tzus, and Cocker Spaniels. 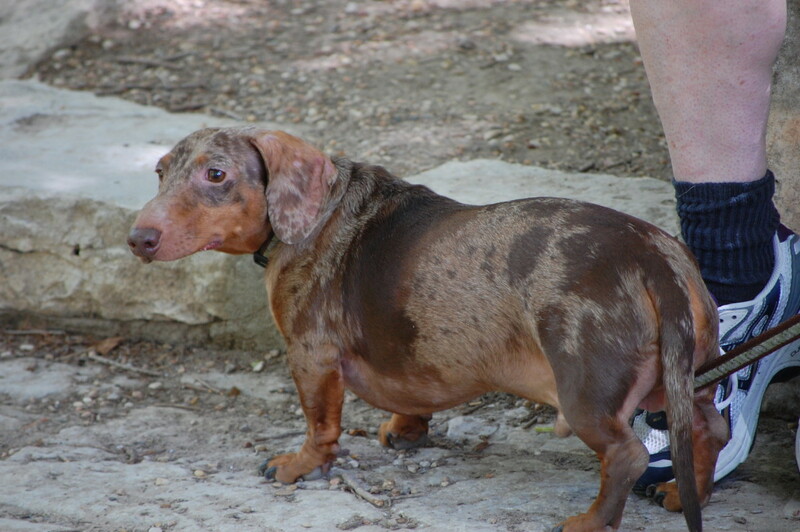 Breeds with long backs and short legs are notorious for DDD and include Dachshunds, Corgis, and Bassett Hounds. For most of these breeds, there seems to be a genetic predisposition to DDD. The need for surgery for ruptured discs is often not related to age or traumatic injury and occurs typically between the ages of 3 and 7 years of age. As you might have guessed, I have a reason for my interest in this topic of the “been there, done that” vein. 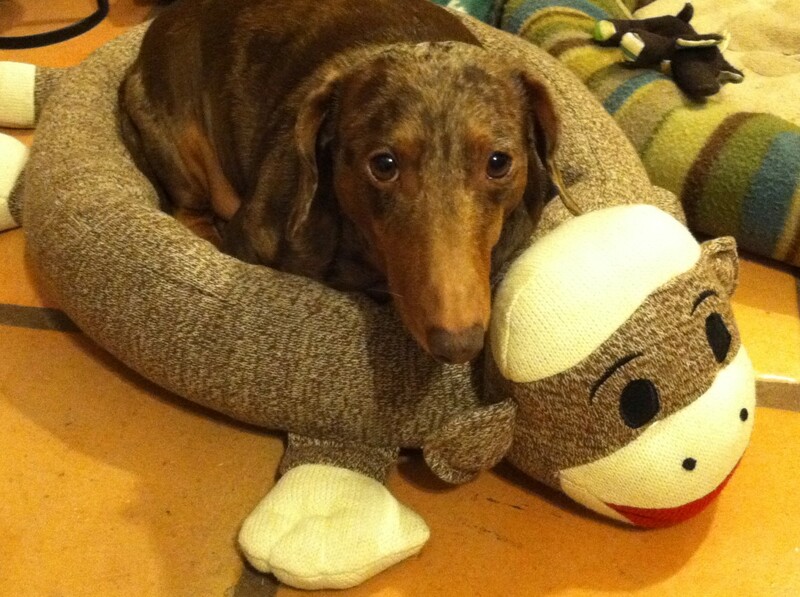 My dachshund, Sebastian, made me an expert of sorts. I had a friend who tried to warn me not to adopt a dachshund. He said, “They’ll break your heart," meaning their back problems result in the need for euthanasia. Mind you, when he was growing up in a small town, veterinarians did not refer working class pet owners to neurosurgeons for expensive surgery. Mainly, it just wasn’t widely available back then. Times are different now. I live in a major city with services readily available. My doxie started exhibiting the waddly gait and was slow to step up the small stoop into the back door. I had tried some homeopathic remedies, but he progressed to loss of bowel and bladder control and paralysis of his back legs. 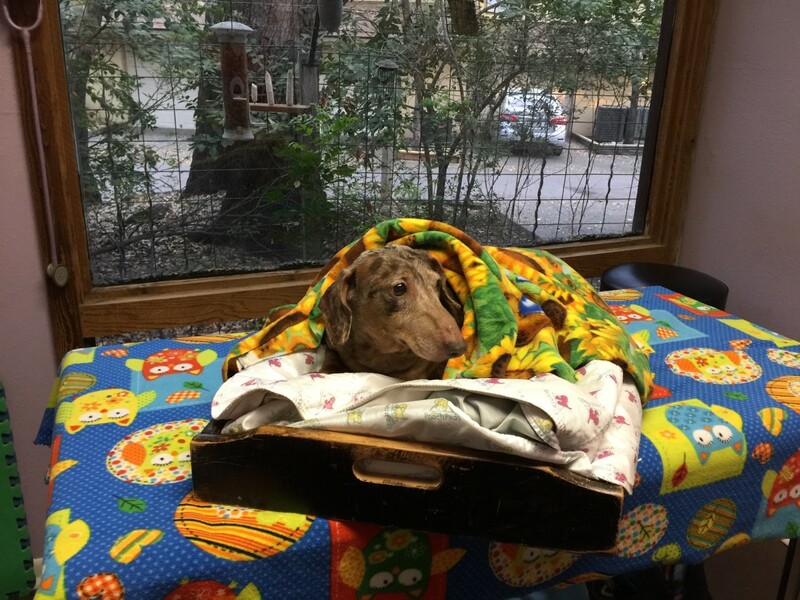 My veterinarian called in a referral to the orthopedic surgery specialists and my dachshund had surgery the same day. The MRI was over $800, the surgery over $1000. Add the anesthesia, hospital stay, meds, etc., and he rang up a $3600 tab in 2009 prices. They gave me a $600 military discount, which was much appreciated. Sebastian did well for about two years after his surgery, then started having back issues again in early 2012. He had been getting acupuncture since then. Prevention is the best cure. Now you might be saying, “If my dog’s breed is genetically predisposed to DDD, it’s hopeless.” It’s not hopeless. Would it be better if dogs had virtually no incidence of back problems? Of course, but if your dog is prone to back problems, why not do everything you can to minimize a ruptured disc? Don’t wait until your precious one has already had a major situation before you maximize smart strategies, which is unfortunately what I did. While practicing precautions may or may not eliminate the occurrence of back problems, precautions can reduce the severity of back problems, and possibly make the difference in your pet needing surgery vs. being able to recover with rest or therapy. 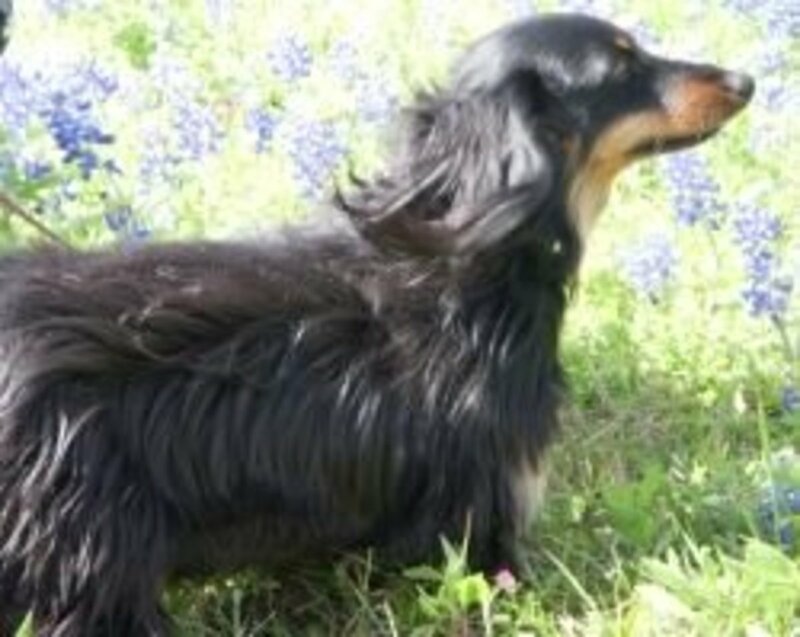 Some statistics show that perhaps less than 20% of dachshunds with back pain, leg weakness, and even paralysis require surgery. I was accustomed to having my dogs sleep with me and join me on the couch. 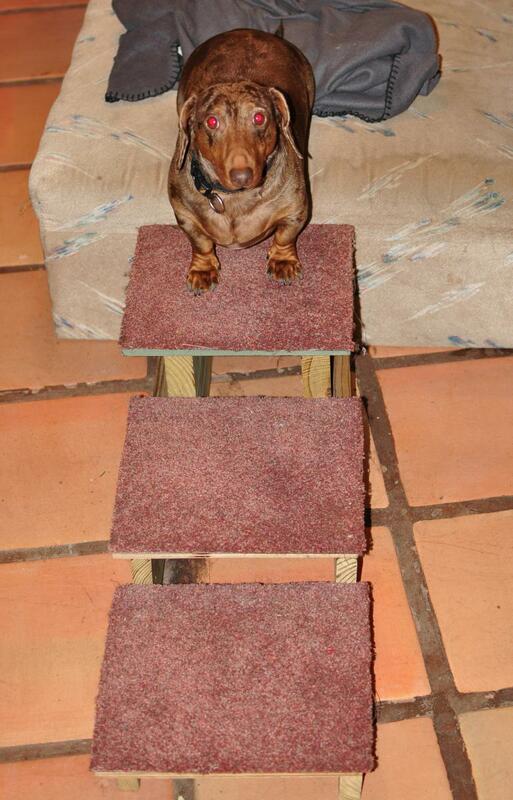 I had stairs for my dachshund for the bed and couch. I had to have a home visit before I could adopt my little guy. Wonder why my case worker didn’t tell me that bed and couch access are a terrible idea, so no stairs! Though he would go up the stairs, he usually jumped down. Jumping is horrible if your dog is predisposed to DDD. Love them enough to exile them from the bed and couch. I didn’t learn this tough love until after surgery. Stairs can be a strain too. If you have stairs in your home, restrict access with a baby gate. If your dog needs to go up and down stairs, carry him if possible. Jumping and steps are issues for outdoors too. My dog would launch himself off the porch like he was competing in the Olympics. 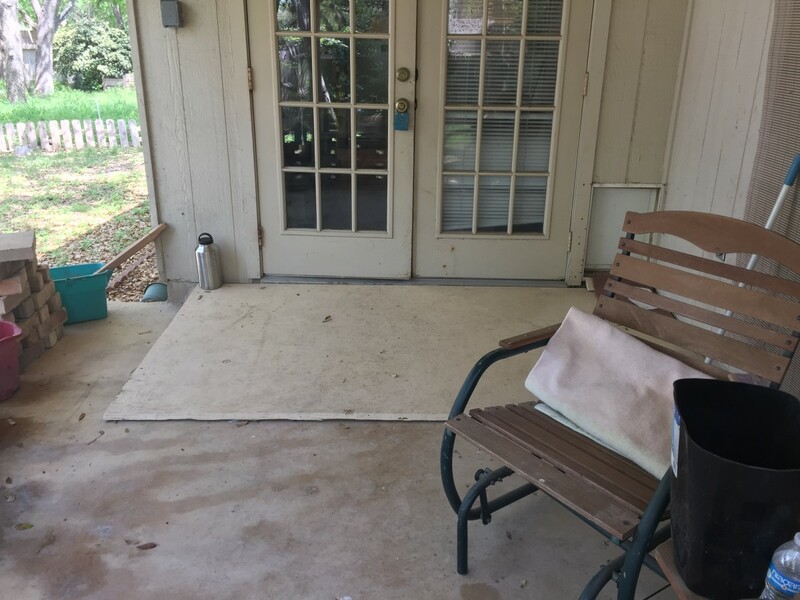 My sister acquired some free bricks from Craiglist and built a little wall around my porch, finishing it out with planters and other items to “enclose” most of our porch. There are only three small steps to my yard, but my sister built a set of long, shallow steps near the originals, which my doxie seemed to prefer, and used much more often than the existing steps. My sister also built a ramp, big and sturdy enough for all of us to use. Ultimately, we blocked Sebastian from the steps altogether. She had to put a lattice up on the sides of the ramp, however, to keep him from jumping off the sides. 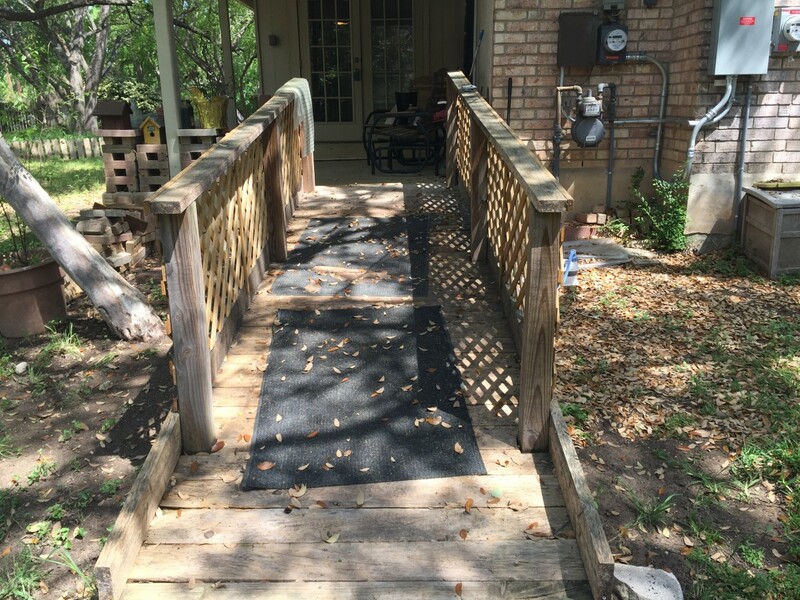 We even put in a ramp at the door for the small rise between the porch and doorway. Running really fast (again Olympics) can also exacerbate back issues in dogs. If your dog is showing signs of pain, you may have to eliminate “free range” yard time and keep him on a leash while outside, even in your own yard. Upright posture, such as “beg position” should be discouraged and eliminated. This puts additional pressure on the discs between the vertebrae. Upright posture has predisposed the human “breed” to back problems, right? Dogs are not babies. Don’t lift them by grasping under their front legs. 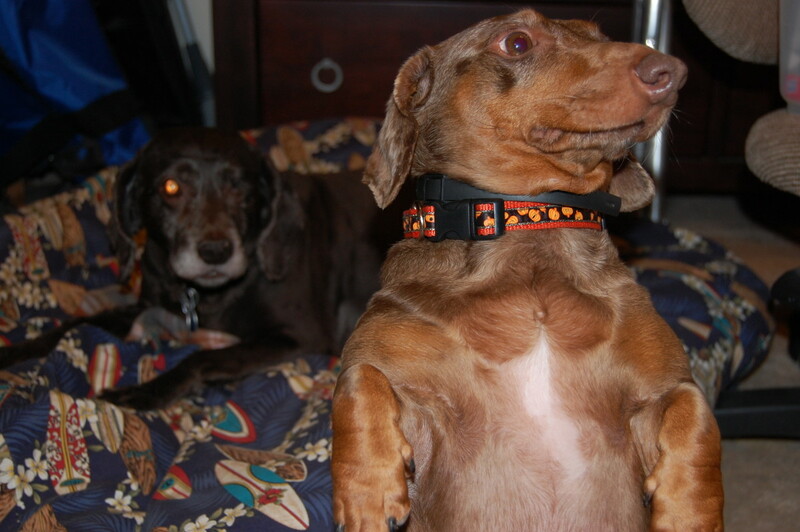 When I was still lifting my dachshund, this is what I did: I placed my right hand under my doxie’s bottom, scooping his hindquarters while holding his feet. I placed my left hand at the rise of his chest. I lifted, careful to not twist, and brought him against my chest. I no longer lift my doxie. He got to a point where lifting him was fine, but he always got spooked when I went to put him back down. No matter how careful I was, keeping his head higher than his chest, keeping him close to me as I started to lower, etc., he would start to get anxious and try to jump down. Our solution was a large reunion-style food tray. When we travel or go to the vet, we put the tray on the floor and he always gets right on it. Even when he lost function in his rear legs, which happened twice, he would drag himself onto the tray. 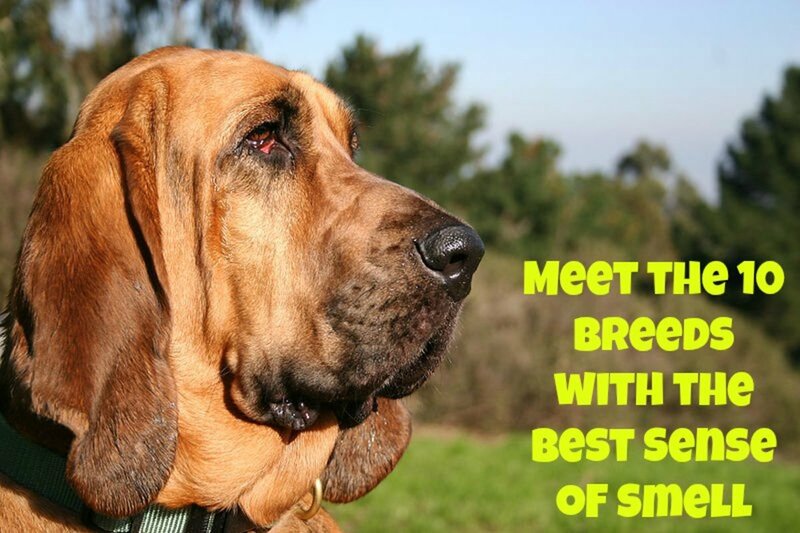 Easier said than done, but it is imperative to keep your dog at a healthy weight. Extra weight is a strain on the back, hips, and knees. Dogs like German Shepherds are predisposed to back and hip problems. 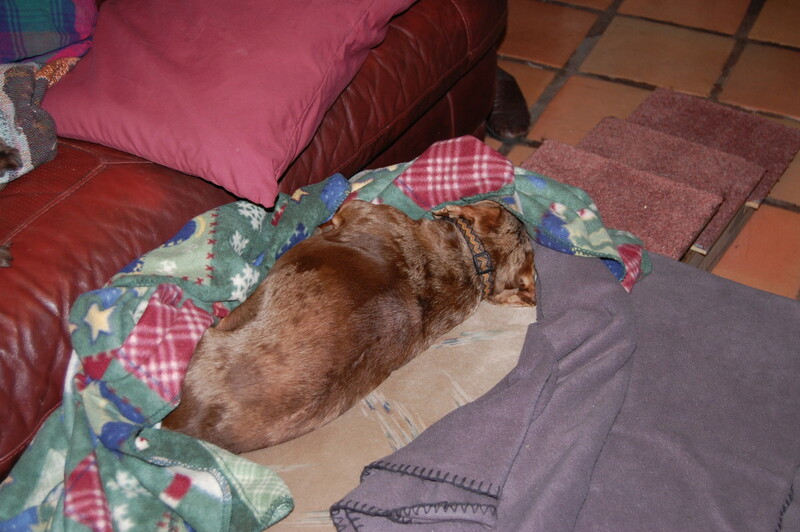 Dogs like dachshunds are prone to back and knee problems. Extra weight compounds all of these problems. I’ve always stayed away from soft or canned food because it’s like doggie crack, it seems to me. Snacks and goodie treats can be an issue. Break cookies into tiny pieces. Dogs don’t have size conservation. If anything they’re counters. Give them two pieces, ¼ or less the size of their usual cookie. They’ll think they hit jackpot. After Sebastian’s relapse, we changed veterinarians to a provider who does chiropractic and acupuncture. She recommended feeding him vegetables, such as cooked green beans, squash, broccoli, cauliflower, and dark greens. Carrots should be minimized, and no high-calorie starchy vegetables like potatoes. She told us to supplement with a small amount of premium dry food, like 1/8 cup, for doggie nutrients. Sebastian took to the change very well and loves green beans. It really helped get his weight down after his relapse. Now he’s at least 14, and just like with people I guess, it’s harder to keep the weight down. Good nutrition is in the best interest of your dog’s overall health, including bone and joint health. Do your research, or just ask your vet for recommendations on the safest, most nutritious commercial dog food. Most vets will say it’s perfectly fine to give your dog a supplement for bones and joints such as glucosamine and chondroitin. While some may doubt the benefit, most will agree that they certainly won’t hurt. Our vet is a holistic vet and favors natural remedies when possible. She has Sebastian on a liquid herbal supplement called Supple Spine. Be careful with the long-term use of prescription pain relievers. Many of these drugs are harsh on the stomach, kidneys, and/or liver. 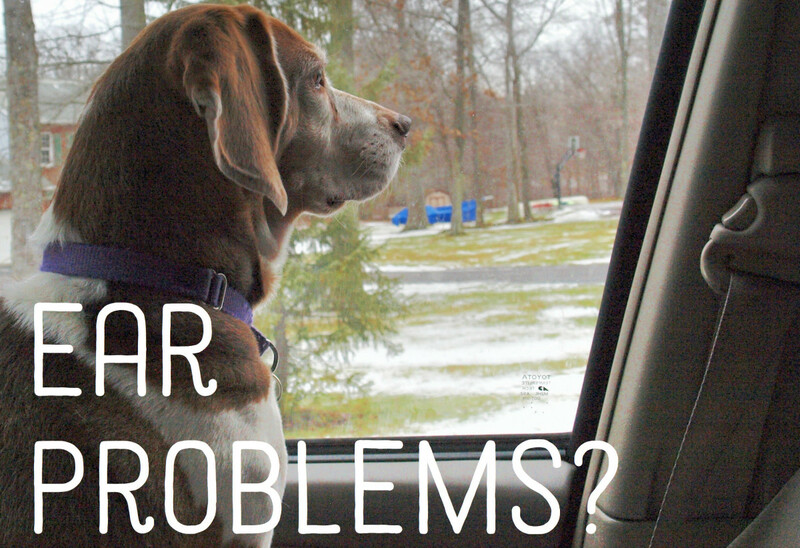 Talk to your vet about pain management. Most vets agree that pain management is a slippery slope. 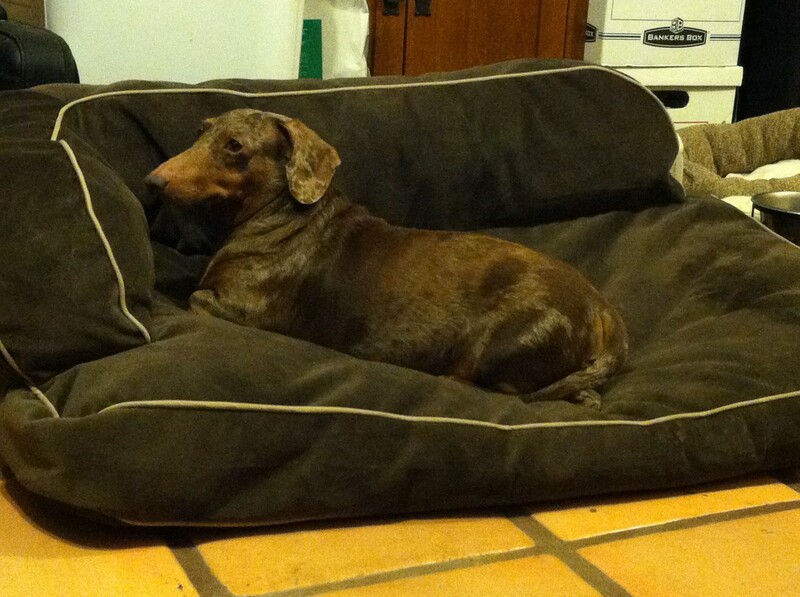 I know when my doxie is in pain, he doesn’t engage in Olympic-style jumps and sprints. And I know when my vet gave my elderly spaniel arthritis meds, I had to cut the dose because she felt so good I was afraid she would hurt herself with vigorous activity. As I mentioned briefly above, Sebastian relapsed two years after his surgery, despite my best efforts at minimizing his risks. 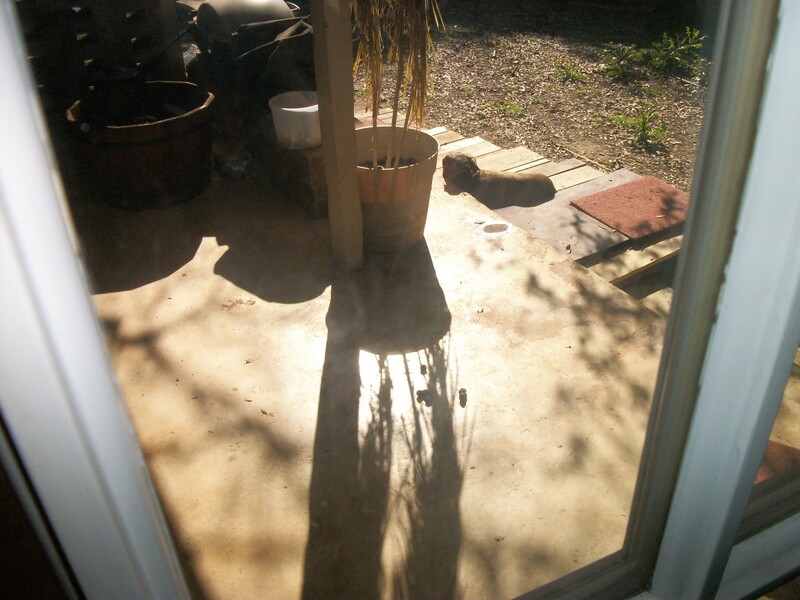 He started walking very slowly, having difficulty getting in the door from the porch. That’s when we got the little ramp for the stoop. His condition progressed, and I didn’t think surgery would be a great option, since the first one had only been two years before, and the cost was daunting. I did a little research and found our current vet who does chiro and acupuncture and herbal remedies. She said it was possible his deficits were from scar tissue from his surgery. We started going to acupuncture once a week in 2012 and did that for a while. When we tried to push it out to every two weeks, he got worse, so we kept it at weekly. The second time we tried to push out to two weeks, he had a major relapse, and he lost function in his hind legs as well as bowel and bladder control again. We stayed at weekly. Actually, we may have even done twice a week for a while. Our vet recommended we try crystals and magnets, so we visited a place that specialized in the metaphysical arts. A woman there who specialized in Reiki and other energy healing techniques said she thought she could help. We took Sebastian in for an energy healing session on his tray, which he drug himself onto and off of. He took to the healer right away. He was back to walking in short order. He gets occasional sessions with the energy healer and has been going to acupuncture ever since. Several pet parents told us that they ultimately were able to taper to one acupuncture session every three months or so. We now go every three weeks, which seemed to be our sweet spot for the last several years. 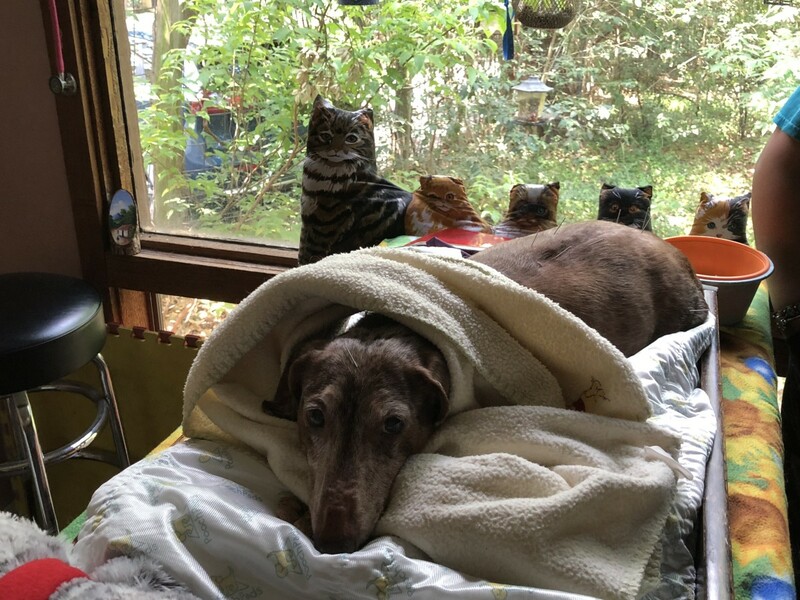 He is moving into his geriatric years and I’ve thought several times that the time is approaching that we may need to get acupuncture every two weeks. I’m good with that. This article is not intended to be a substitute for professional medical advice, diagnosis or treatment. Consult your veterinarian. How Can I Help My Overweight Dog From Suffering From Obesity? This article provides great information on preventing back problems, and I know if I am going to adopt a dog I might choose one that doesn't typically get these problems. It is a shame you spent so much on your cute little fellow just to have the problem occur again in 2 years. Thanks for this great information. Your dogs are so cute. So sorry this has developed for your little guy and hoping that he returns to health. It's very troubling when they develop issues with their legs and back. Looks like you've found some good solutions for bed access and with the ramp outside. We've had a dog ramp for years for our very large dogs who ultimately have difficulty with balance and mobility. We live in a two story house which means at some point we move our bed downstairs to the guest room when they can't make it upstairs any more.